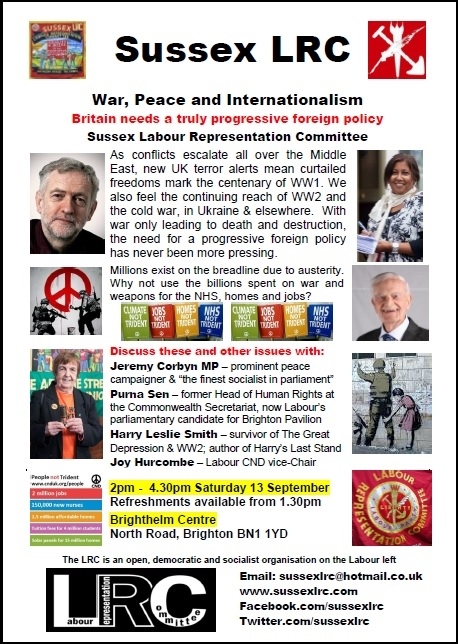 Join peace campaigner Jeremy Corbyn MP, activist, RAF veteran, survivor of the Great Depression, author of Harry’s Last Stand and top tweeter Harry Leslie Smith, former Head of Human Rights at the Commonwealth Secretariat and now Labour’s parliamentary candidate for Brighton Pavilion Purna Sen and Labour CND vice-Chair Joy Hurcombe to discuss the urgent need for the UK to adopt a progressive foreign policy. 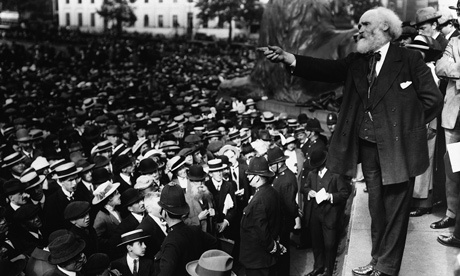 As conflicts escalate all over the Middle East, the Coalition’s dire new terror alerts suggest that the UK will mark the centenary of World War One by further limiting the rights and freedoms that those before us fought and died for. Meanwhile, World War Two is an ever-present in our cultural life and we continue to feel the reach of the cold war in the Ukraine and elsewhere. 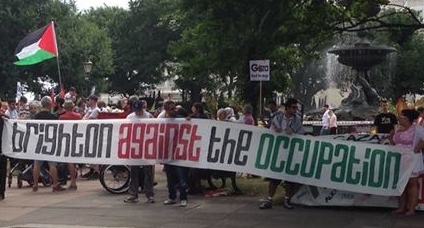 Despite protests all over Britain and worldwide, why the different responses to the humanitarian crises of the Palestinians in Gaza and the Yazidis in Iraq? Death and destruction are the only certainties of war. As millions in Britain and overseas exist on or below the breadline due to austerity policies, why do politicians continue to waste billions on war and weapons, such as Trident? 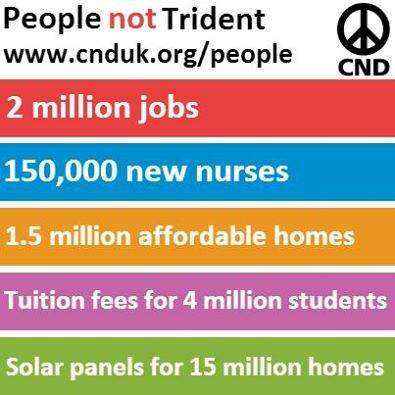 We ask why Britain has not signed-up to the Hiroshima Peace Declaration and why our nation’s wealth is not put to better use by investing in jobs, homes, the NHS, and the environment.